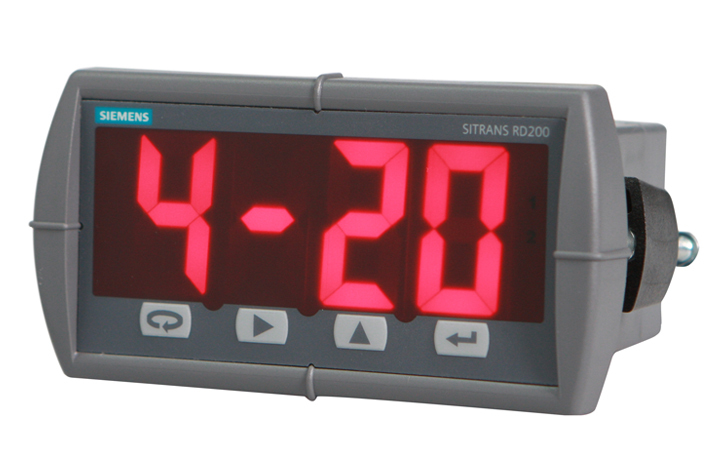 The SITRANS RD200 is a universal digital display unit for process instrumentation in the field. Free to download RD software allows remote logging and collection of data from up to 100 displays directly to your computer. The LED display is easy to read, even in direct sunlight. Input voltage option 1 85 … 265 V AC, 50/60 Hz; 90 … 265 V DC, 20 W max. Input voltage option 2 12 … 36 V DC; 12 … 24 V AC, 6 W max. One 24 V DC ± 10 % at 200 mA max. External loop power supply 35 V DC max. 24 V DC, 10 … 700 Ω max. 35 V DC (external), 100 … 1 200 Ω max.